[SCREENCAPS] Leopard, all the screencaps! First I’m gonna update the hard work, which is try to update the screencaps folders. It will take some time but… I’m probably going to finish it by today. Thanks to our partner from Brendan Fehr Net, we’ve added all the screencaps of Leopard, an original movie byEoin Macken into pur gallery! Take a look and don’t forget to visit them aswell! 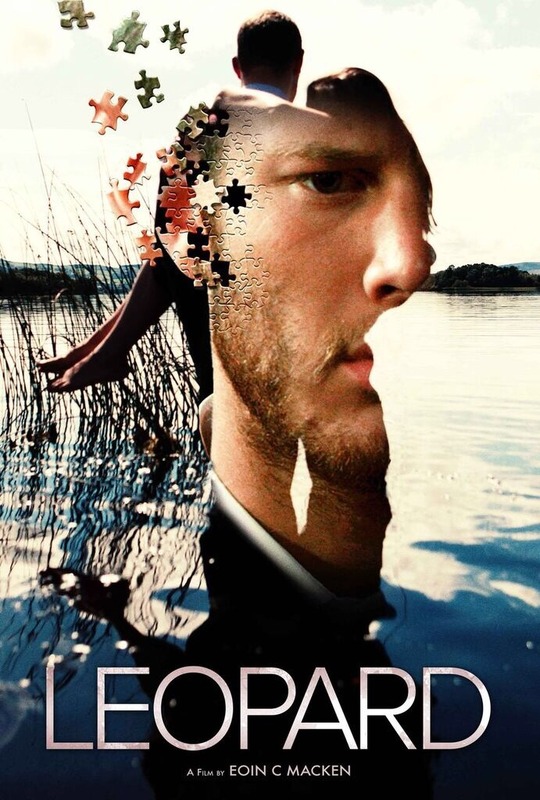 [NEWS] LEOPARD, a film by Eoin C. Macken — Out this September! The Night Shift’s Eoin Macken writes, directs and stars in this year’s most unique and thrilling film experience, out this September from Osiris Entertainment. From Eoin Macken, best known as Dr. TC Callahan on the hit NBC medical drama The Night Shift, comes the dark and disturbing Leopard, out this month from Osiris Entertainment. Paris, Texas meets The Wicker Man in a unique, powerfully-performed thriller about two disconnected brothers ostracised by the small village community surrounding them who reunite when their father dies. “Beautiful, heartbreaking, dark and yet luminous” (At a Glance Mag), the chilling Leopard features award-worthy performances from Macken (The Night Shift, Merlin, The Tudors), Tom Hopper (Black Sails) and Jack Reynor (Transformers : Age of Extinction). Written and directed by Eoin Macken. Inspired by Jim Steinback’s East of Eden, Leopard fixes on two separated brothers Tom and Jack, who are cold-shouldered by the Irish village they live in. Jack returns after 5 years with the sudden and unexplained death of their father and the brothers are immediately at odds with one another. Jack’s presence pushing Tom’s loner mentality into a dangerous psychosis and opening an old wound with the locals as to why he originally left. Things take a surreal turn when they find a girl apparently left for dead in the moors and Tom becomes wildly obsessed with looking after her. What follows is beautiful, tragic and bizarre, as the brothers search for a resolution to their past and their relationship to one another in this mesmerizing tale of love, violence and redemption. [NEWS/VIDEO] Leopard – A thriller by Eoin Macken! The House of Film added two days ago a new trailer about LEOPARD (also known as COLD but just called as Leopard since now), one of Eoin’s featuring films! Take a look at its trailer and, also, at its summary! The dark and mysterious LEOPARD centers around two disconnected brothers Tom and Jack, who are ostracized by the small village community surrounding them. Jack returns after 5 years with the sudden and unexplained death of their father and the brothers are immediately at odds with one another. Jack’s presence pushing Tom’s loner mentality into a dangerous psychosis and opening an old wound with the locals as to why he originally left. Things take a surreal turn when they find a girl apparently left for dead in the moors and Tom becomes wildly obsessed with looking after her. What follows is beautiful, tragic and bizarre, as the brothers search for a resolution to their past and their relationship to one another in this mesmerizing tale of love, violence and redemption. Showreels + Just a bit of Eoin! Hey folks! We have being a bit bussy during these days but… that’s not a problem, right! Scrolling down the wonderful eoinmackenfanbase‘s wordpress blog, we saw that there are some showreels about some actresses (Eimear Ennis Graham and Kellie Blaise, both of them had played a role in Eoin’s movies) in where we can see a few glimpses with Eoin on them! Just take a look at them (because it’s always a good time to meet and discover new actresses that deserve more atentions cause of their acting skills) and enjoy them! We are truly glad and happy because they look so so good! You can see glimpses from COLD and The Inside on the videos down below! *All videos are (C) their respective author and owner. If you think that some videos should be removed please contact us and we’ll remove them. Hi again folks! I’ve realised that we wasn’t updating the gallery that much and since it’s one of my favourite parts, I was like: wait wait, nothing about COLD!! So here you have some pics. We’ve added 21 pics of the Making Off of COLD (pictures taken from Eoin’s blog) and 27 pics of the Cold Con event in 2012!! *All photos are (C) their respective author and owner. If you think that some photos should be removed please contact us and we’ll remove them.